Our doctors have extensive experience in the pre-operative evaluation and post-operative care of LASIK surgery. 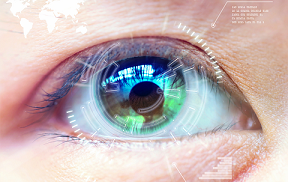 There are other excellent refractive surgical options that increase eligibility amongst patients, including ICL, Refractive lens exchange, PRK, and multifocal and toric IOLs. We will help you find the ideal surgical option and partner you with the best surgeon to perform your procedure. To learn more about which surgery may be best for you, please contact our office! Cataracts are the clouding of the focusing lens inside the eye, which is positioned right behind the iris- the colored part of the eye. Cataracts prevent clear images from appearing on the eye’s retina; causing mild, moderate, or even severe blurred vision. Cataracts can make night vision very difficult and cause significant glare problems. Reading also becomes a significant challenge as cataracts progress. Cataracts generally occur later in life as the lens structure within the human eye changes and gets older, however cataracts can occur at any age and are often made worse by certain medications or systemic conditions, such as diabetes. During your annual eye exam, Dr. David or Dr. Hejny will check your lens for cataract formation. When the cataract is advanced enough to cause visual disruption, they will refer you to a trusted surgeon and will be there for you providing pre and post-surgery care. During cataract surgery, the patient’s natural lens, which has become cloudy, is removed. Following surgical removal of the cataract, an artificial intraocular lens implant is inserted. The implant is measured and selected for you to provide the best vision possible. There are several implant options including single vision distance, implants to correct astigmatism and multifocal implants to improve distance and near vision. Surgery is generally performed in an outpatient setting, using local anesthesia and causing little or no discomfort to the patient. If you feel you are experiencing symptoms of a cataract, we would be glad to help!